This page is about garage door repair Carlsbad new garage door installations in Carlsbad and broken spring repair and replacement. What we offer at Elite Door Systems may not be as cool as Legoland or as innovative as the desalination plant, but it is just as important. Garage door systems are everyday conveniences that often get taken for granted. That is until they breakdown. Manual operation of your garage door system is about as much fun as stepping on a Lego piece barefooted. In some cases, it may not even be possible depending on the weight of your door. Elite Door Systems is here to handle all of your garage door system needs, whether they’re simple repairs or the installation of a completely new system. We offer incredibly flexible scheduling and extremely competitive prices. What we quote is what you pay; there are never hidden fees when you work with us. Our technicians are among the best in the business. They are highly trained, experienced professionals with a deep commitment to customer service and safety. 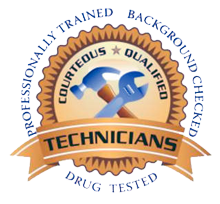 They pass rigorous background checks and are drug tested before we even hire them. Our goal is to be the best in the business, from pricing right on down to the people we send to your home. Elite Door Systems takes this commitment very seriously. That’s why we chose to specialize in garage door spring repairs. While we do it all, we’re especially passionate about this area. We’re all for the Do It Yourself movement, but some things just weren’t meant to be DIY projects. Garage door spring repairs are one of those things. Think of garage door spring repairs as cooking fugu (puffer fish). This delicacy, if prepared improperly, can kill you. In Japan, only chefs who have qualified after three or more years of training do restaurant preparation of fugu. Improper repair or installation of garage door springs may not always kill you (it could), but it can certainly cause massive injury and/or property damage. Garage door springs are under high tension which, when suddenly released, makes them dangerous. Being struck by one is bad news for your vehicle and very bad news for you. One slip during a DIY repair is just as bad. Call Elite Door Systems and let us be your garage door spring specialists.